Bodufolhudhoo is one of the inhabited islands of Alif Alif Atoll in the Republic of Maldives. Bodufolhudhoo is a small island located in the central area of North Ari Atoll and surrounded by many famous tourist resorts, including Nika Island Resort, Velidoo and Gangehi. Bodufolhudhoo is the first island in Maldives to ban single use plastic bags. Guesthouse business is on the rise and there are a few tourist shops in the Island for those guests and the ones who come for Island Hopping from nearby resorts. 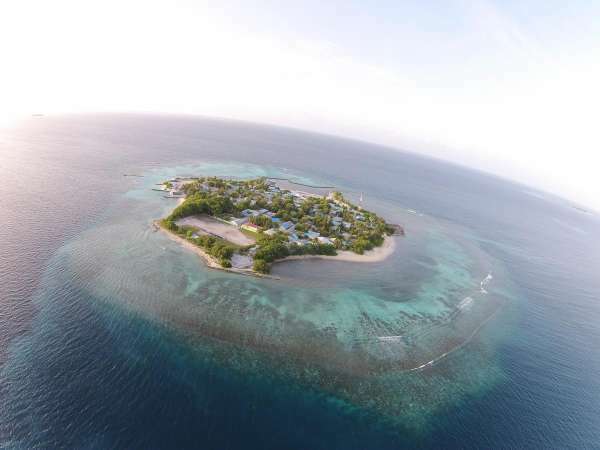 Bodufolhudhoo boasts over 5 operating guesthouses with many under development. With this local council has created a private beach (Sunset beach) for all the tourists to enjoy in bikini. There is a health centre in the island to provide basic health care service to the community. The health centre has a medical officer and 2 registered nurses and nearly 15 staff members. Bodufolhudhoo's economy has been mostly based on Fishing till the early 1990s. The current economy is supported by people working mainly in tourism industry. Jobs are mainly provided by nearby Resorts. In the island Jobs are mostly on School, Island Council, Health Centre, Utilities, Shops & Restaurants and Guesthouses. As Bodufolhudhoo is an island surrounded by sea, transport is mainly based on sea. There are speed boats and normal boats that people use for transport between islands. Larger vessels are used to travel to and from the Capital Male' and for faster transport residents use seaplane service from the nearby resorts. Fishermen use specially designed vessels to catch fish from the open sea. The government ferry system was introduced in 2012, whereby boats were available to travel between the islands on a cheaper fare. People mostly walk in island, but use bicycles and motorbikes to drive from one place to another. Wheelbarrow "gaadiyaa" in different sizes are used to transport heavy materials. In the early 1990s nationwide helicopter service was provided by Hummingbird. To this day Helipad used by Hummingbird exists in Bodufolhudhoo.